The year of 1974, in particular the second half, provides a very good insight into traditional dichotomies in French European policy. Indeed, thanks to the emergence of a broad internal consensus on the (vague) need for action at European level this period saw the French government take two important initiatives. First, on 14 September, at an informal diner in Paris with his European counterparts, the French president Giscard D’Estaing tested the idea of institutionalising such meetings of the Heads of State and Government of the European Economic Community (EEC). This took the form of the European Council, officially created on 10 December at the Paris Summit. Second, two days later, on 16 September, Jean-Pierre Fourcade, the French Minister of Economics and Finance, presented his memorandum for une relance monétaire européenne before the Council of Ministers of the EEC. He set out four proposals, among which the creation of a new European Unit of Account (EUA), and an adaptation of the intra-Community exchange rate system. Within the monetary sphere, the 1970s were characterised by the opposition between two strategies for integration at the European level. This was the “economist” vs. “monetarist” debate. The difficulty in reaching an agreement on which strategy the European Community should use in order to proceed to Economic and Monetary Union (EMU) was at the core of the discussion on this subject from the 1960s right up to the 1990s, and even to some extent up until today. Each option was a logical and coherent method, but each aroused the utter opposition of up to three other member states. The main difficulty was therefore to try to overcome this impasse, not only at the European level, but also, as in the French case, at the domestic level. As is often mentioned, Pierre Werner, Minister of Finance of Luxembourg, was designated to sketch a plan for EMU, with a specific view to finding a compromise between the “monetarists” and the “economists.” As a consequence, the approach adopted in his plan was coined the “parallel approach.” This underlying and recurrent ideological debate in the history of European monetary integration could therefore clearly be seen as a dichotomy. With this opposition in mind, this chapter will concentrate on the specific case of the monetary initiatives taken by France in 1974 and 1975. It will first briefly come back to the definitions of the “economist” and “monetarist” strategies. Then it will analyse the attempt by the French government to relaunch monetary integration following a “monetarist” strategy. Finally, it will seek to show that the internal French consensus on economic and monetary policy was more complex and ambiguous than might have, at first, appeared. This situation weakened the case for the Fourcade memorandum at the Community level, and indeed of the European monetary integration process as a whole. 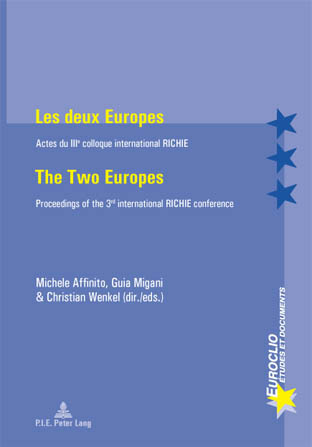 Published in Michele Affinito, Guia Migani and Christian Wenkel (eds), Les deux Europes/The Two Europes, (Brussels: Peter Lang, 2009), pp. 213-224.